The EZYSCREED is the best manual screed for either concrete or sand! 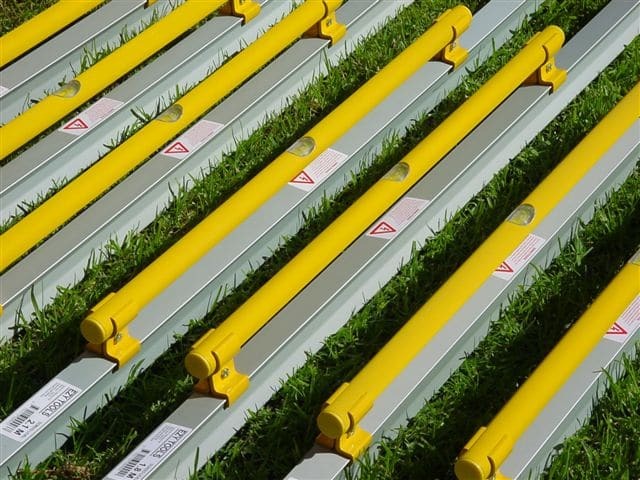 With the EZYSCREED’s patented bubble level handle and lightweight high tensile Aluminum design, it makes light work of screeding any area or material. The thick walls of the EZYSCREED also makes it one of the strongest screed’s in the market and helps it resist bending. The designed screeding edge helps cut through whatever material you are screeding with ease; giving you a good clean screed everytime. While the rounded edge gives you a good start to floating off your concrete. The handle of the EZYSCREED gives you good leverage which enables you to screed large loads by yourself. By having a level built into the handle, it will save you time on the job; no more reaching for a level. With the designed clamp/handle set-up of the EZYSCREED, it becomes fully reversible, giving you 2 screeds in 1 and makes it a long-life tool. 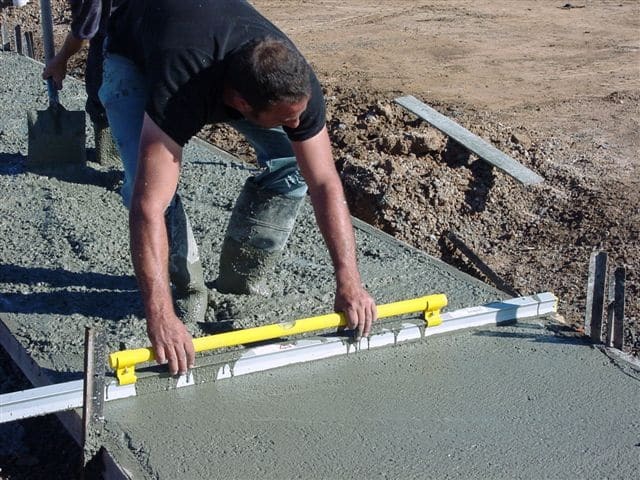 The EZYSCREED is available in a multiple of lengths from 900mm (approx 3ft) to 3.6m (approx 12ft).